Join the K2 – K1 Recce coming up in October with training from ex-Pro Tim Gudsell and his team. Five days, four nights or three days, two night options, starting 11th October 2017. Based in the Coromandel – in Tairua and Coromandel town. Space for up to 14 guests – contact us to see how many spots we have left. Training on the K2 – K1 course, includes race prep and tips, interval training on climbs. Full support vehicle with a professional mechanic. Accommodation is at Pacific Harbour Lodge and Anchor Lodge. Guests can choose their level of accommodation, twin share or single rooms (supplement applies). Recovery massage and pilates sessions from professionals available, at least every second day. The biggest day of climbing on the camp, today we cover 3 or the major climbs on K2 in both directions! For K1 riders we use this day as shorter day as the course route passes the hotel a number of times, so riders can do what they feel compfotable with. It's best to remember you are here for 3-5days riding and thats where the real gains are made, not one big day and then struggle to get out of bed. This one of the best days training you will ever do in New Zealand. Day 5 and our return trip to Tairua, this time via Thames. On this ride we will practice our pace line and lapping skill between the main climbs. Leaving Coromandel Town Manaia and Kereta hills kick the legs into action early, before gorgeous ride down the Thames coast. The last big obstacle of the camp lies in the form of Kopu-Hikuai, always a challenge but by this stage your tour legs will take you home. A few smaller climbs on the otherside let you know there's no free lunch, but as you get a wiff of the coast again there will be a real sense of achievement and satisfaction. No matter what your goal, you will have made huge gains. With a mid afternoon start the first days ride is to open the legs and get to know the group, with a number of smaller climbs this ride still has it's challenges. Today is the first major endurance ride of the camp, starting with the steep side of the infamous Kopu-Hikuai climb we get straight into our work. 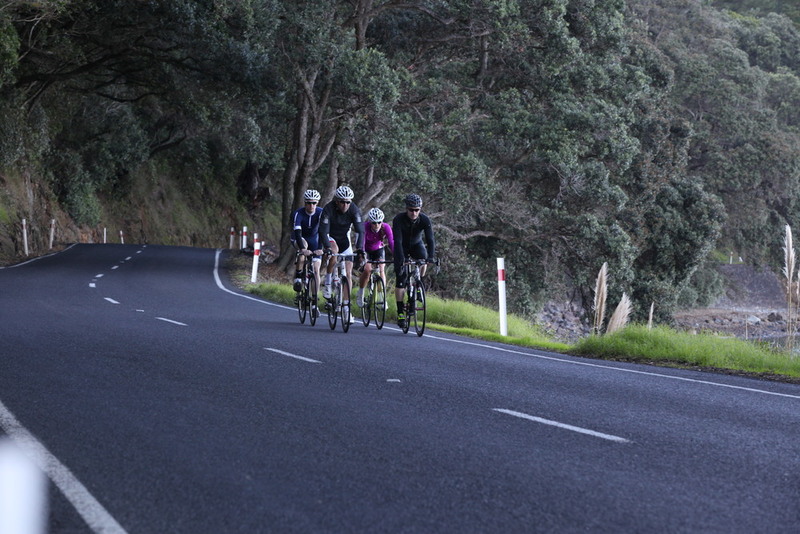 However followed by a stunning ride through the Karangahake Gorge we get time to enjoy the beauty of the region. 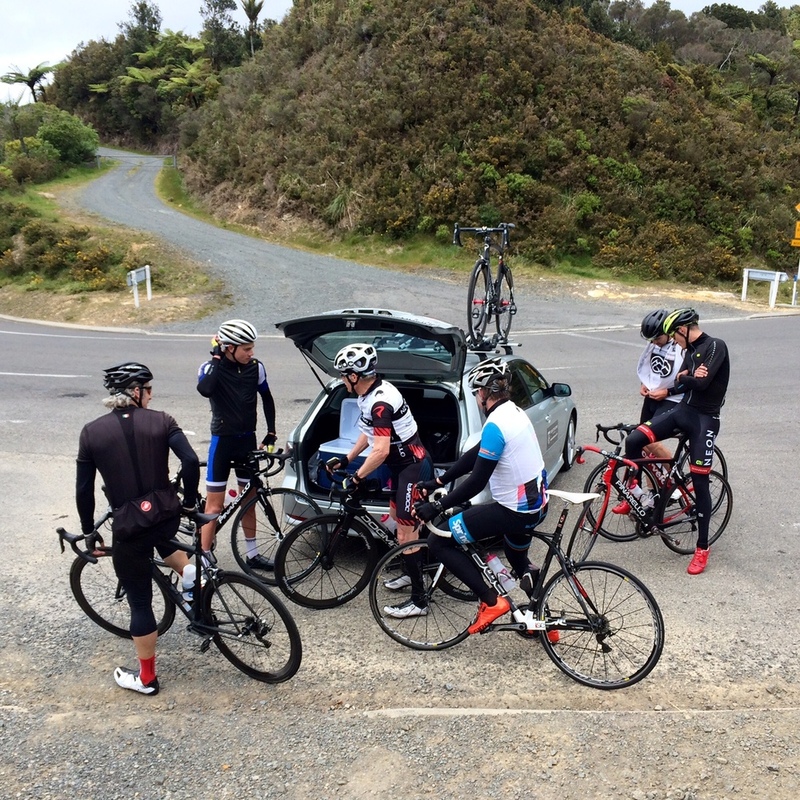 After a short lunch stop in Waihi we tackle the final 5 climbs of the day focusing on different climbing techniques. With new riders arriving for the 3 days camp, it give the 5 day group time for a moning stretch session after yestersday long ride. We head out of town over Pumpkin Hill and regroup on the other side. There are a couple of distance options today, and a lot of oppouruntity to work on climbing specific. We will have a short stop at Lukes Kitchin in Kuaotuna for coffee before tackling the infamous Whangapoua Hill.